THE final Australian designed, engineered and built Commodore was revealed at Holden’s Port Melbourne headquarters this morning, complete with an LS3 donk in the SS performers. 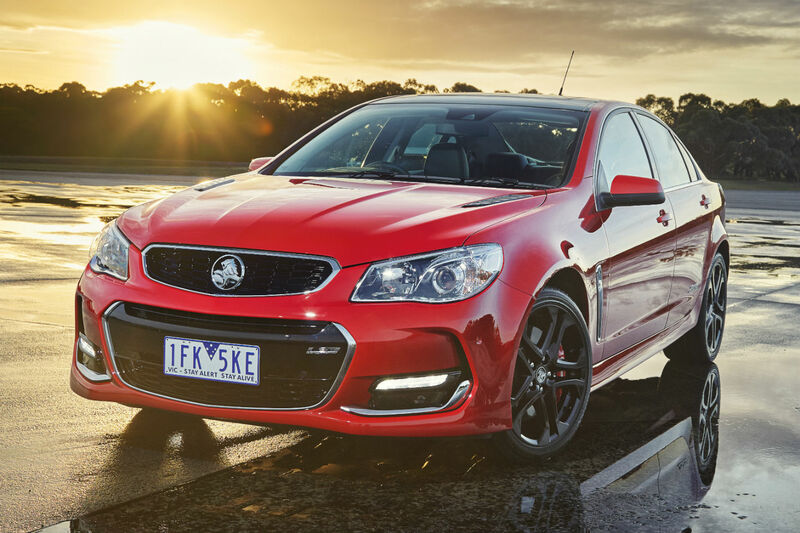 The VFII swaps the old 6.0-litre unit for the 6.2-litre LS3 V8 that has until now been reserved for Holden’s HSV performance division. 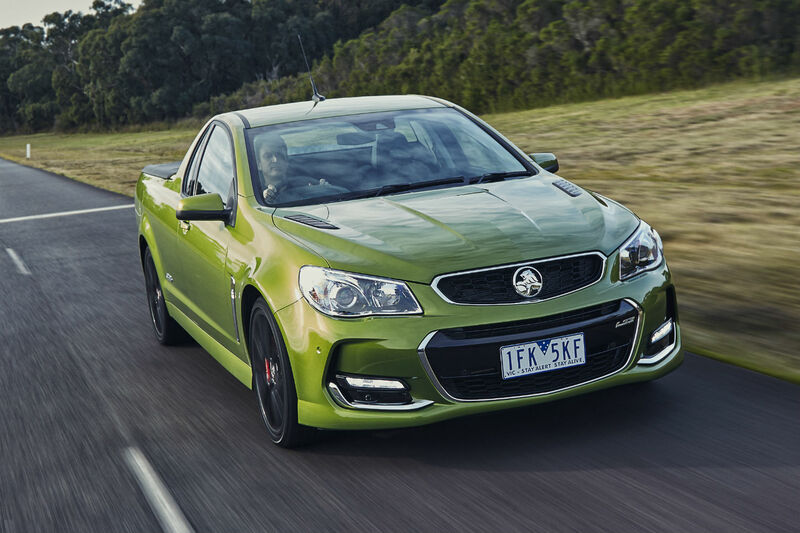 In the Commodore it pumps out 304kW and 570Nm, which is 34kW and 40Nm more than the old 6.0-litre V8. Naturally, it’s still down on the HSV’s top-spec Clubsport models which currently use the same LS3 but with a beefier 340kW tune. 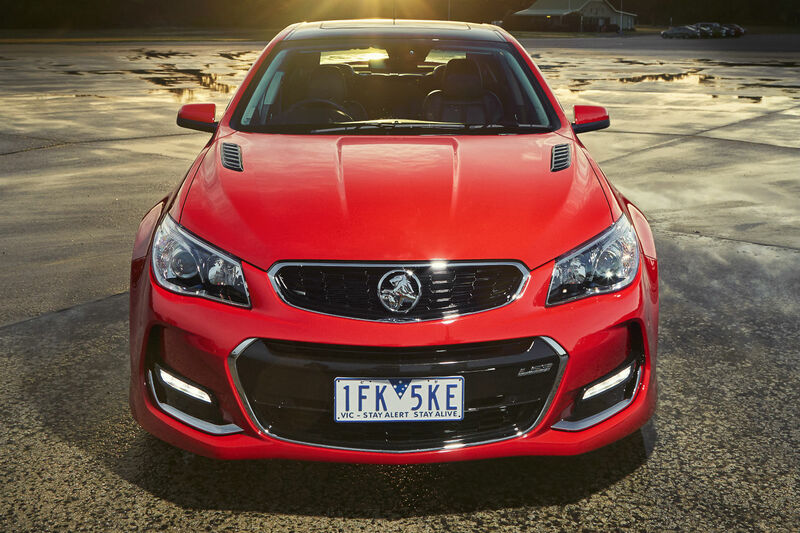 Holden reckons this is the fastest Commodore ever and it’ll hit 100km/h in 4.9 seconds. The top of the range SS V Redline (pictured here) should also stop better than any previous models because it now has beefy Brembo brakes on all four wheels as standard instead of just the fronts like the original VF. The bigger brakes are also now a $350 optional extra on the SS, SSV, Calais V and Caprice V.
The V8 Redline was the first car to be driven out at the launch and trust us when we say this thing sounds seriously mean. For years we’ve been complaining that Holdens V8 models were too quiet from the factory and it seems the engineering team has finally listened. The new SS Commodores all come with a bi-modal exhaust system which has a quiet and loud setting. In the loud setting it barks and crackles like a proper muscle car. We like! And if that wasn’t enough, they’ve also installed a sound resonator type doodad under the bonnet that pipes some of the induction noise directly into the cabin. So you get a louder tone from both ends. Styling wise the VFII gets new front bumper, revised taillights and SS models now also feature a set of bonnet vents – probably not functional but they look neat. The ute and wagon bodies also get new rear lights for the first time since the original VE launch. The wheel catalogue has also been updated and two new exterior paint shades added, while nothing has changed indoors. 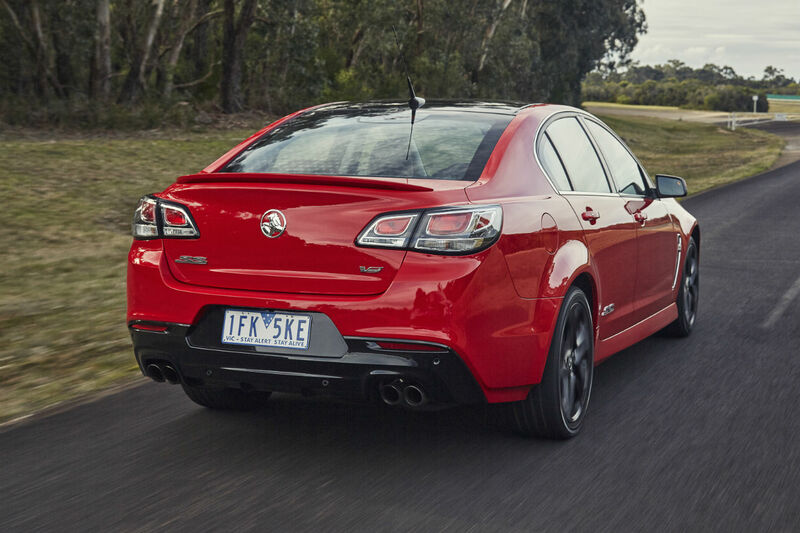 HSV is expected to launch its Gen-F II models in the coming months, with the blown LSA V8 powering most of its models.